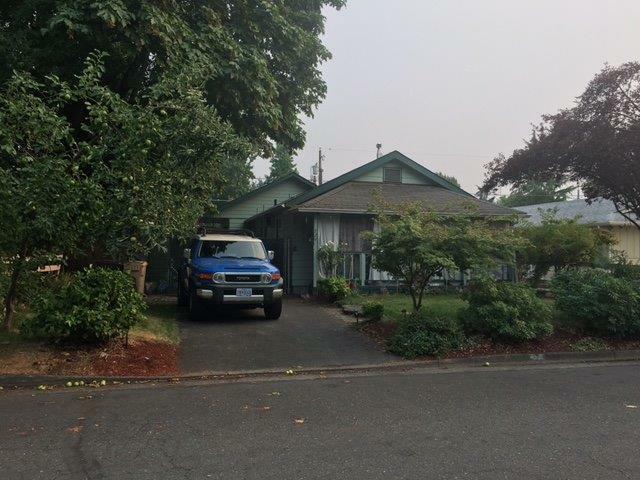 1,034 sq ft; lot: 5227 sq ft - MLS# 2992897 Courtesy of Oregon Properties Real Estate Inc.
Two bedroom Two bath home in Southwest Grants Pass. Built in 1963. Covered front porch. Has small outbuilding back yard. Gated parking. Occupied property, inspections not available -sold AS IS. No for sale sign. Contact with occupants is prohibited. Auction property; contact your Realtor for information. Courtesy of Oregon Properties Real Estate Inc.